Our morning pick-me-up comes in all tastes, styles and sizes. So, whether you like a creamy cappuccino or a strong espresso to get your morning going, this guide has all the info you need to choose the right coffee maker for you. Look out for the ‘Our Experts Love’ range to find everything from the best barista-style machines to the simplest espresso makers. And of course, if you want to see what’s on offer for yourself, come down to one of our stores and we’ll be happy to help find the right appliances for you. For those who strive for good quality coffee but don’t want the mess or hassle, a coffee pod machine is the perfect solution. Pod machines use vacuum sealed pods filled with delicious fresh coffee, with one pod making one cup. 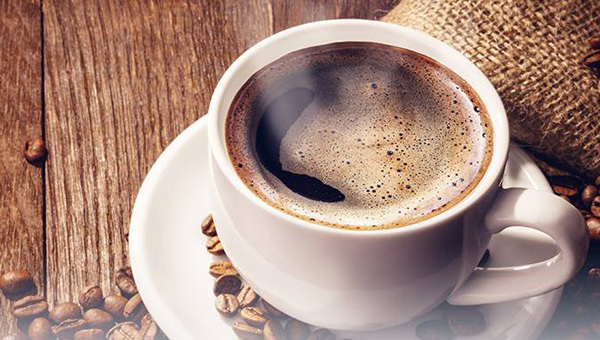 As well as a range of popular coffee drinks such as espresso, Americano and cappuccino, coffee pods or capsules come in an array of other flavours such as hot chocolate, chai latte and iced tea. Some pod machines use barcode readers to automatically identify your beverage, selecting the best settings for the drink. Why would I choose a pod machine? A pod machine provides a quick and easy way to make coffee, simply pop in your pod, choose your settings, and the machine does all the hard work for you. The range of pods available makes them ideal for those who love variety. Capsules cost anywhere from 24 – 46p dependent on the machine. How many varieties of drinks can pod machines make? Dolce Gusto make over 30 drinks, Tassimo make over 35 drinks, and Nespresso make 24 drinks. What milk do pod machines use? Most Dolce Gusto and Tassimo pods require a separate milk pod. Dolce Gusto use powdered milk, Tassimo use UHT milk, and Nespresso use fresh milk if the machine has a milk container. Espresso machines provide great flexibility, letting you get creative in your quest for the perfect crema. Espresso machines use widely available pre-ground coffee, or you can grind your coffee to the coarseness you require using a grinder (see coffee accessories). You’ll feel like a barista as you carefully pack the coffee into the tamper before creating beautifully intense espressos, lungos or ristrettos. Why would I choose an espresso machine? Espresso machines give you more control over your coffee and that beautiful fresh taste. Many espresso machines come with a steam wand to create frothy milk toppings for lattes and cappuccinos. What does bar pressure mean? Having the correct bar pressure is crucial for extracting the best flavour from your coffee. Between 9 and 15 bars is the perfect pressure for full-flavoured coffee with a professional crema. Machines with thermoblock heating systems are incredibly fast and efficient. Thermoblock machines heat the water to the optimum temperature for making coffee - around 90-95℃ - so that the coffee beans don’t burn and leave behind a bitter taste. What is a steam arm? Espresso machines with a steam arm will allow you to create a range of milky coffee drinks including cappuccinos, lattes and macchiatos. By mixing together steam, air and milk you’ll be able to provide a wider range of drinks for friends and family. Crema is a telltale sign of a professionally made espresso and appears as a thick golden froth on the top of your coffee. A crema is created as tiny air bubbles trap the flavoursome coffee oils extracted from ground beans. Bean-to-cup machines provide a premium experience, creating a huge range of espresso-based drinks at the touch of a button. These all-in-one machines use whole beans and are perfect for those who love variety but want more speed and convenience than offered by an espresso machine. Once you’ve filled the coffee machine with beans, water and milk, each coffee will only require you to press one button. They also allow you lots of freedom with the ability to customise the coffee strength, water temperature and more. Why would I choose a bean-to-cup machine? A bean-to-cup machine delivers the freshest coffee extracted from whole beans, but are still simple to use. A built in grinder and tamper saves you from having to grind and pack the coffee beans yourself, while easy controls allow you to tailor the taste of your favourite drink. Also, machines come with a milk carafe to make frothy milk or a manual steam wand for drinks such as lattes and cappuccinos. What does memory function mean? For the ultimate convenience, a memory function will let you store your favourite drink so you can make it every day at the touch of a button. Bean-to-cup machines boast premium features such as LED displays that add a professional design touch. Some models even feature contemporary touch controls for added functionality. What drinks does a bean-to-cup machine make? They make a range of coffee-based drinks from flat whites to creamy cappuccino and espresso. Is it more expensive to make a coffee with a bean-to-cup machine? Bean-to-cup machines can cost more than more traditional coffee makers, and sometimes be slightly noisier while grinding beans and producing coffee. Nonetheless, the level of noise produced is very acceptable, and the superior espressos produced make these machines well worth the investment. Create barista-style coffee at home using your favourite ground coffee or ESD pods with an espresso machine, from creamy cappuccinos and lattes to luxurious espressos, macchiatos and more. Why buy a pump espresso machine? Pump espresso machines are perfect for a genuine barista experience. Pump espresso machines are among the most popular coffee makers in the world. They’re also the most common, because they’re easy to use and produce great espresso every time. What coffee does a pump espresso machine take? Pump espresso machines take fresh ground coffee. What sort of coffees can you make with a pump espresso machine? With traditional milk frother, you can make your favourite coffee drinks such as cappuccinos, lattes and flat whites. What is a bar pump and why is this important? A single bar of pressure is one-unit atmospheric pressure. Therefore, 8 bars of pressure are eight times the pressure at sea level. 15 bars of pressure is considered the sweet spot for creating great tasting shots. Filter coffee machines come in different cup volumes and are very easy to use. Water simply drips slowly through a basket of ground coffee to infuse in a pot or carafe. There's no need to boil the water first. Filter coffee machines usually have thermos pots and hot plates to keep the coffee warm. Why would I buy a filter coffee machine? Filter coffee machines are perfect for someone who is on the go and making large batches for family or guests. They are simple to use and perfect for making Americano drinks. What coffee can you use in a filter machine? Use fresh ground coffee in your filter machine to make the perfect easy beverage. Why do you need filter papers? Filters are used in order for easy maintenance, as well as keeping the coffee fresh. It’s also possible to buy reusable filters. How many cups of coffee can you make with a filter coffee machine? Dependent on the size of the jug, filter coffee machines can make up to 10 large cups, perfect for coffee mornings.